-- No Kurt Coleman or Luke Kuechly for CAR...helps Jordan Howard a lot. Plus, Benny Cunningham is out -- more Tarik Cohen 3rd down snaps. Cohen may spring back to life here. -- Julius Peppers is out so CLE's secondary is further depleted...although, Peppers has been terrible so it might help CLE. -- Morgan Burnett out for GB...helping the 'shoot out' narrative. Plus, it appears GB has it's OLs back...help for Hundley. **Green bay field condition is sloppy projecting to get sloppier. Further pushing a high scoring affair...myabe. -- Jason McCourty out for CLE...the Browns have a terrible secondary and now loses a starting corner...this could be a bigger week for Marcus Mariota than you'd think. The Browns are solid against the run and terrible against the pass. Rishard Matthews may go WR1 this week given Delanie and DeMarco are banged up. 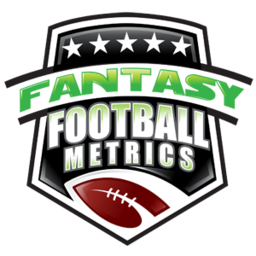 -- Golden Tate not likely to play Week 8...looking ahead, Marvin Jones has been heating up and would see nice targets vs. PIT...not a great matchup but it's something for the WR desperate. Green bay Week 9 if Tate is out...then Jones would go wild. -- Mostly favorable schedule ahead for Sterling Shepard after the Week 9 BYE...if you can sit on him through that week you wake up Week 10 with the team's #1 WR and a decent schedule ahead. 10:25amET: I do not rule out an Aaron Rodgers return somewhere within Weeks 15-17, but I think it's a long shot...but I believe the hype is coming from Green Bay to keep the troops rallied. There's no sense in publicly discussing Rodgers is DONE for the regular season. It makes all the operational and fan sense to 'keep hope alive' and talk about miracle Rodgers return dates. Rodgers back for the NFL playoffs makes much more sense. 9:25amET: Watching NFL Network this morning...the streak of me not understanding or gaining any knowledge of anything that Steve Marrucci or Michael Irvin says runs to it __ consecutive days...the blank being whenever the first time I heard them speak about football to today. How in the world do they draw a paycheck? A new streak is developing when I flip over to ESPN and glean nothing from Randy Moss, Charles Woodson, and Rex Ryan. Who watches them with any enjoyment or education? Watching NFL pregrame shows for me is like going to the zoo. I'm mildly intrigued and confused by all the different animals moving around and making noise but I don't really enjoy or remember any of it. But for a moment seeing a python or giraffe behind a cage within a few feet/yards of me...it makes me gawk for a moment but I get nothing out of it. I paid my admission, it's odd animals in my line of sight, I guess I'll look around...but I'd rather be in about a thousand different places then there. You know who gets bewildered by the zoo...little children. I guess that sums up NFL pregame shows. Weather issues for Week 7? -- A balmy 90+ degrees at LA for DEN-LAC...may affect Melvin Gordon's 47 carries. He might go all the way under 3.0 ypc instead of 3.3-3.7. -- Got up ready to watch the early London game...it's at 1pm ET? -- Andre Ellington out...another small bump for the Rams, as I assume LAR gets up quick/big and AP is not help in the passing game...but they'll try him. -- I'd be worried about how much DeMarco Murray and Delanie Walker play considering they are borderline good-to-go, but playing CLE...they could play 1/2 to 1/3 of the snaps in a sweet win. -- Obviously, if Leonard Fournette is out Chris Ivory is going to do some work...but Corey Grant becomes very viable for the desperate. -- Washington will be without both starting corners (most likely), Trent Williams is not 100%, the OL depth is down...as much as I like the way the Redskins have looked this season...they are too banged up, and if they lose to Philly + the injuries -- the 2017 season is about to get away from them.